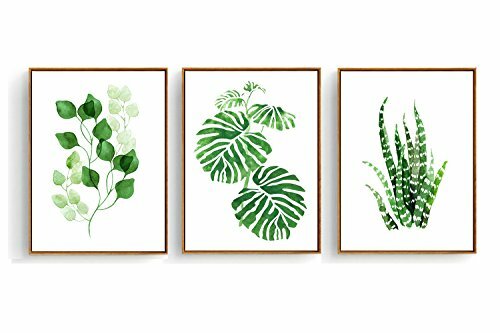 Hepix handmade canvas tropical leaves plant painting for Livingroom. Notice: Hepix is the brand owner of Hepix product, we never authorize any third party sell our product in US, please make sure you buy authentic product from Hepix. PATTERN : Canvas Wall Art Tropical Leaves Drawing. SIZE : Canvas Wall Art in Size 13*17*1.5 inch. Hanging accessory kit included.Convenient to hang it. MATERIAL : Wood inner frame , Polymer Materials outer frame.The canvas painting is waterproof ,anti-dirty and anti-fade.Nothing smell with painting , so it is no hurt for people. DECORATION : Wall art decoration for living room, bedroom.Vivid Colors make room brighter. HONESTLY SERVICE : 100% Satisfaction Guarantee ! If you have any questions about this product by Hepix, contact us by completing and submitting the form below. If you are looking for a specif part number, please include it with your message.